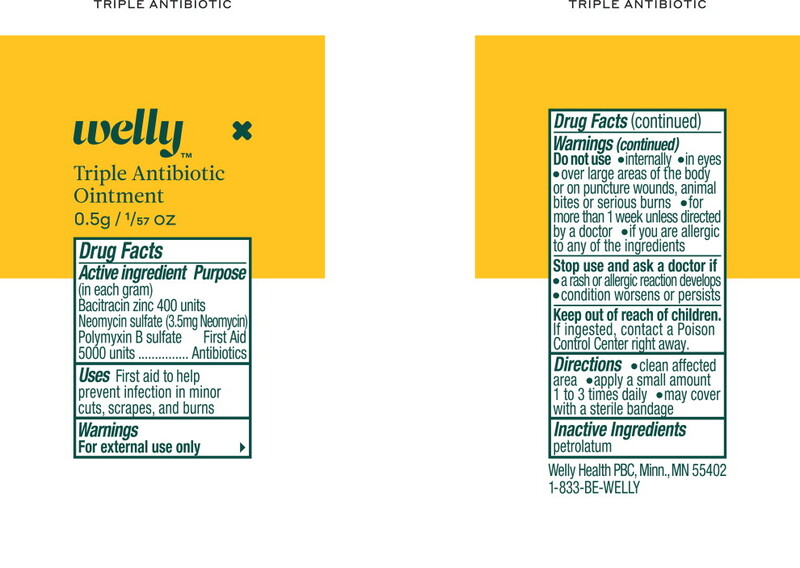 Proprietary Name: Antibiotic What is the Proprietary Name? Non-Proprietary Name: Bacitracin Zinc, Neomycin Sulfate, Polymyxin B Sulfate What is the Non-Proprietary Name? Antibiotic with NDC 72663-560 is a a human over the counter drug product labeled by Welly Health Pbc. The generic name of Antibiotic is bacitracin zinc, neomycin sulfate, polymyxin b sulfate. The product's dosage form is ointment and is administered via topical form. FDA Application Number: part333B What is the FDA Application Number?